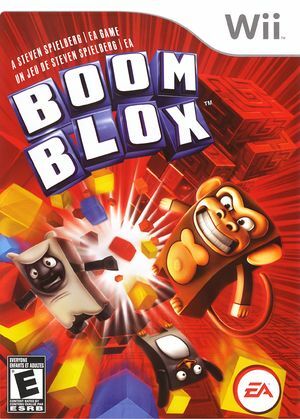 Boom Blox is a puzzle video game for the Wii console developed by Amblin Interactive in conjunction with film director Steven Spielberg. The game presents a series of physics-based puzzles, the objective being either to keep structures made of blocks from being knocked down or to knock them over by various means, using the Wii Remote to throw, shoot, and grab at the blocks. Boom Blox features a realistic physics system; the angle, speed, and mass of a projectile and even the type and position of the block it hits all influence the results of the action. A sequel to Boom Blox has been released, titled Boom Blox Bash Party. Since 4.0-553 only light throws can be performed with an emulated Wii Remote, use a revision prior to 4.0-553 to correct for this. Refer issue 7813. This issue has been fixed with 5.0-8443. The graph below charts the compatibility with Boom Blox since Dolphin's 2.0 release, listing revisions only where a compatibility change occurred.